"Melodic Goa Trance" never disappeared. At the end of the 90’s and specially in the beginning of the new millennium melodic Goa trance was joined by other types of psychedelic trance (like progressive, psy-tekk, full on, dark trance,...) that were less melodic, and more concentrated on good production and weird. A little later melodic Goa trance got abandoned by many artists and the audience, but some releases still honoured that great music. Because of that, this article aims at giving you an idea of what was released of our beloved music in this millennium… Also you’ll notice that the melodic Goa trance scene is now more vivid again than years ago, partly thanks to online communities and self-produced mp3’s, which gave people the chance to get to discover new talents. In case you discover the music you really want, please don’t forget to support the labels! This is the only way for them to afford new releases and keep your dear beloved music alive! 2001: This year there was still a hint of the famous “old school” melodic Goa trance producers. We had a (quite regular trance sounding) album of Asia 2001 - Abduction, an album by Chi-ad called Infinitism including his hard to get hits plus some unreleased tracks, an album by Miranda called Asynja, and Yahel released his very melodic, on the edge of normal trance, album called Waves of Sound. Around this period it seemed like some artists wanted to bring the melodic Goa trance sound very close to “normal” trance. The albums above are good examples, but we also had Digital Karma – Hypersound and Space Buddha - Eternity Project. Some re-releases of great albums saw the light as well in 2001. We had Dimension 5 – Second Phaze, Electron Wave – The Uncertainty Principle, Ra – To Sirius and X-Dream – We Created Our Own Happiness. Luckily enough, we also had some Goa trance albums and compilations from less famous names. A good mix called “This is trance” by Dj Jean Borelli, a great album by Xervana – Samples from a Virtual Life, an album from Beyond Third Spring : Oasis of Memories and some partly Goa trance releases like VA - Psychedelic Sparks, VA - Lightbeams and Talamasca – Musica Divinorum. 2002: this was a black year with almost no Goa trance releases. Let’s have a look… The only famous releases this year were Electric Universe’s Unify and Astral Projection’s Amen. Luckely, also Etnica’s fantastic Alien protein album was re-released. Besides were a few albums that were partly influenced by the Goa sound, like Domi Pastor – Immortality, Uni - Venus and Alienated Buddha – Inpsyde. The only Goa compilation was Retrodelic Vibes from Avatar, which was a re-release of great 90’s tracks. Other compilations containing at least some Goa trance tracks were VA - Spiritual Moves 4, VA - Unlogic Psy Collection and VA - Vibraspirit 23. On the darker side Prodigal Sun – Twisted Harmonics is clearly influenced by British 90’s acid trance. Also Summamutikka – Umpimähkä (aka Aavepyora) released an acidic free mp3 album that year. In 2003 the first signs of a revival came from Tranceform Records which released two enlightening Goa trance cds. Ethereal – Anima Mundi and the compilation Blissfull Moments. Regarding more famous names , Man With No Name released Interstate Highway, which was more melodic progressive Goa trance, and Out of Orion released the California Sunshine album Sinking Sand with old unreleased tracks. Kagdila also started to release Goa-trance, which resulted in the first Peace Therapy compilation, concentrating on slower (120 BPM) Goa trance. Less known Jikooha released a Goa influenced album as well thiat year, and last but not least we had GMS’-side project Zorba with a nice downtempo Goa trance album, sometimes on the edge of regular trance. The re-releases this year were: Total Eclipse – Violent Relaxation, Cydonia – In Fear of a Red Planet, X-Dream – Radio and Kox Box’ fantastic Dragon Tales album. 2004 was the year where it became obvious some people still liked the old school sound. This resulted in the foundation of Suntrip Records in august, their first release, Filteria – Sky Input came out a few months later. Kagdila released their first uptempo Goa compilation, Pure Planet, and the last release from Tranceform Records, Ypsilon 5 – Binary Sky, saw the light as well. Other Goa trance releases were Talpa – The Art of Being Non, the compilation Infinite Realities and Torakka – Far Out Express. For the more emotional trance lovers, The Muses Rapt’s – You was a pleasure for sure! 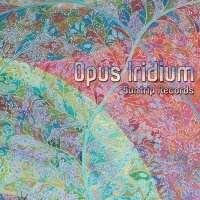 Other albums that are worth mentioning as they have at least the old school influence are Synsun – Symphonic Adventures, Subconciousmind – Gfuhlsweid, Miranda – Rerecorded, Benza – Retrofuturism and a rare compilation called One from Tamil Records. In 2004 we had some great re-releases as well ! Indoor – Progressive Trance and Prana – Geomantik. We must also mention the birth of old school influenced full on, which was quite pleasant in the beginning: Vibe Tribe – Melodrama and Electric Universe’s – Cosmic Experience. 2005 saw mainly re-issues, simply because the rare original cd’s started to become more and more expensive. They probably influenced new artists, as after 2005 much more Goa music was released. Suntrip released both VA - Apsara and Khetzal – Corolle, Unicorn released Purple Energy 1, Aavepyora’s – Elektro Fluoro Punx, and Nystagmus – The Immaculate Perception was clearly influenced by the old school sound as well. As for re-releases, Avatar did a lot in 2004, with VA - Retrodelic Vibes 2, Sandman – Witchcraft, Orion – Futuristic Poetry, Asia 2001 – Amnesia (incl. unreleased tracks), Deck Wizards:Kosmokrator and Elysium – Dance for the Celestial Beings (double cd)! Other re-issues were Cosmosis – Akashic, Total Eclipse – Delta Aquarids and VA - The History of Goa Trance. 2006 was the first year where “new school” releases clearly appeared more than “old school” re-releases. One of the main reasons is the popularity increase of free mp3-releases, and a lot of new cds. Cd-wise, 2006 was the year of the second Filteria album, Heliopolis, of Ka-Sol – Fairytale, Goasia vs Omegahertz – Purple Energy 2, Radical Distortion – Regenesis, Alpha Circuit – Module Z and Jikkentekki – The Long Walk Home. On the softer side of Goa trance was the fantastic Peace Therapy 2 compilation. Also Jikooha – Shamanarchy deserves a mention here as some of the tracks on their album are great Goa trance! On the re-release front we had Hux Flux – Cryptic Crunch and GMS – Chaos Laboratory. The rise of mp3-releases is noticeable: Metapsychic and the Israeli Old is Gold online labels were founded in 2006. We had Afgin’s Old is Gold debut album and the Pyramidal Trancendence compilation, an mp3-ep release by Chi-ad, and the Aavepyora’s – Goddess Guerilla album that’s pretty acidic. 2007 was the year of the mp3-revolution for new school Goa trance. Many new artists promoted themselves this way and caught the attention of cd-labels, which could result in future great cd releases! It’s clear the “new school” movement is starting to become a scene within the scene. Not so many cd’s were released in 2007, we had VA - Twist Dreams, Goasia – From Other Spaces and Dimension 5 – Transdimensional remastered reissue from Suntrip Records, VA - Pure Planet 2 from Kagdila and of course Transwave – Backfire with some sought after unreleased tracks. A great re-release compilation was Retrodelic Vibes 3 on Avatar Records. Mp3 releases got the attention with Metapsychic and the albums of Vox – Innerpolarity, Mindsphere – Inner Cyclone and the Human Hyperactivation compilation. In Israel the Old is Gold group released Golden Vibes 1 and 2 compilations. Ektoplazm from Canada gave us two great EP’s from New Born – The Trip of the Luna King EP and the Observer EP. Shivlinks also released an online EP from Liquid Flow called Goa Terminal. Numerous artists put their music for free on the Internet. Among them, Synsun and Artha who had made remarkable Goa tracks in the past gave them away for free. Many of the downloads mentioned can be found on www.ektoplazm.com, have a look there! Last but not least we will mention the revival of Flying Rhino Records. Their website offers many of their old, hard-to-find Goa releases as free downloads. Written by: Anoebis, Suntrip Records.